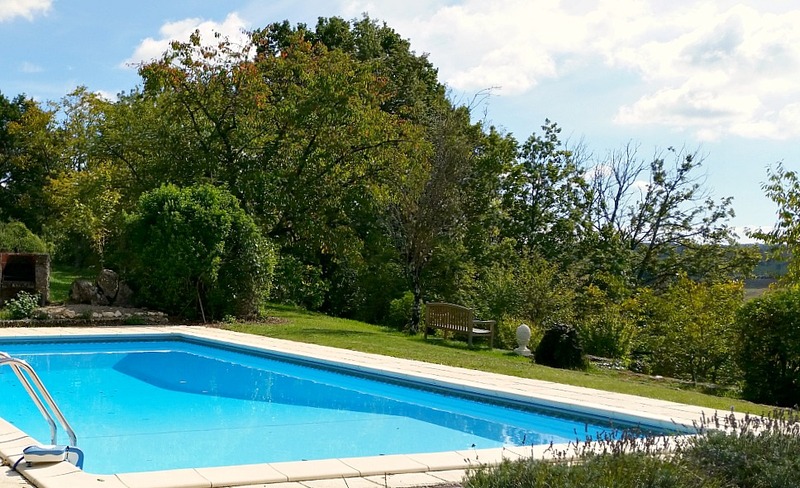 Villa Ste Therese is a ‘baby’ compared to the 800 year old village of Monpazier. Built in the early 19th century with local honeyed stone, the Villa features an impressive fireplace rescued from the ruins of a crumbling nearby chateau. The Villa offers stunning views of the ancient village and surrounding valleys. It comfortably sleeps up to 10 – a relaxed and stylish holiday base for families or groups. 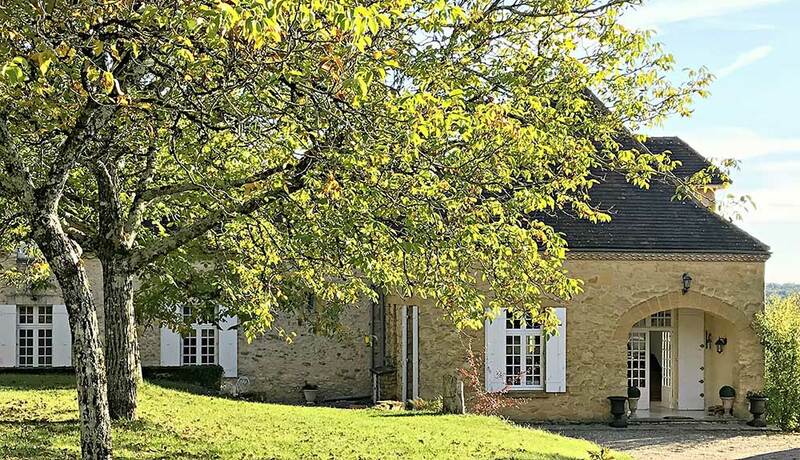 Villa Ste Therese provides complete comfort, combining traditional oak Perigourdine pieces with modern amenities, to offer the welcoming authenticity of a maison de campagne or ‘French country house’. In the gardens enjoy a game of table tennis, petanque, volleyball, badminton or cricket, or just find a quiet spot in the orchard for a siesta in the shade. Villa Ste Therese does not accommodate children below school age. We sadly made this ruling for key safety reasons: the deep pool is alarmed but not fenced; and the property includes several steep terraces – a dangerous falling-off point for small explorers. There wouldn’t be much relaxation time as you chase Junior around the place! Villa Ste Therese does not accommodate children below school age. We sadly made this ruling for key safety reasons: the deep pool is alarmed but not fenced; and there are several steep terraces – a dangerous falling-off point for small explorers. There wouldn’t be much relaxation time as you chase Junior around the place! Our website has the best available rental rates if you book direct through this page! If you’d like to read what our guests say about Villa Ste Therese, please visit the reviews posted on Tripadvisor.